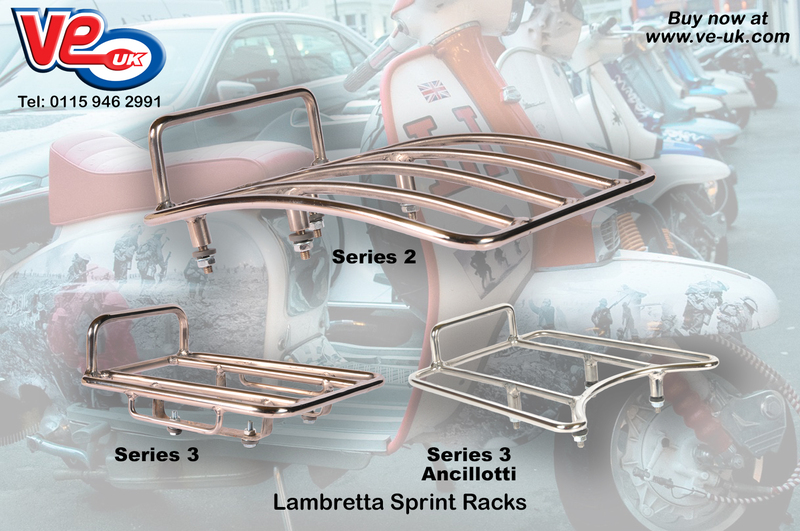 Owners of Classic Lambretta scooters looking to add luggage carrying capabilities whilst maintaining the streamlined look of their scooter will love the stainless steel sprint racks available from VE (UK). Available for Series 2, Series 3, and Series 3 models fitted with an Ancillotti style seat, they are manufactured from high quality stainless steel to help resist the elements. Polished to a high gloss finish they will add a touch of sparkle to any Lambretta, whilst adding much needed luggage carrying space.